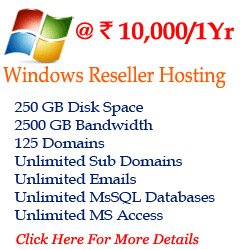 Getting a Domain Reseller account is very easy. With zero initial deposit, you can instantly setup a Domain Reseller account and start selling domains instantly. You can manage all details for your own customers. You can add any number of sub-resellers under your account. And apart from all, our competitive low cost pricing for domains will offer you to earn higher profits. 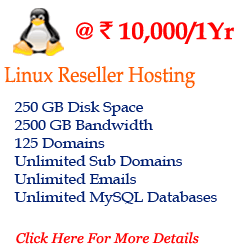 NTPL Domain Reseller account comes with control panel that enables you to handle key functions of your domain business such as adding sub-resellers, customers, manage domain functions, invoicing, email reminders, creating anouncements, setting the TLDs to sell of your own choice, setting the price of your TLDs, and many more. The domain control panel is fully brandable which means that you can run your business with your own branded name and logo. Alongwith every domain name you will also get domain control panel, privacy protection, domain theft protection, DNS management, bulk tools absolutely free. Create unlimited email accounts and forward it to another email account of your choice. Create & manage DNS records (A, MX, CNAME etc) of your domain in real time for free. If you require any support regarding domain management, then our team will assist you for free.